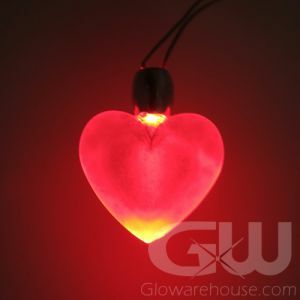 - Fun, Flashy Battery Operated Light Up Necklace! - 6 Bright Lights! 4 Different Settings! 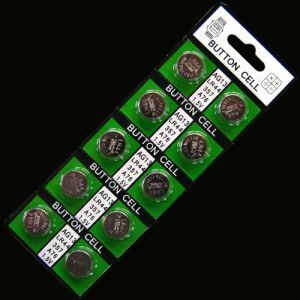 - Easy push together break-away connector! 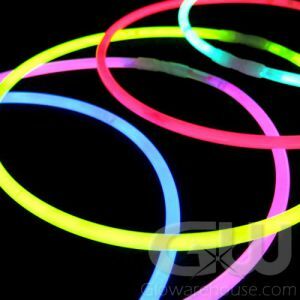 - Mardi Gras Parties! Dances! Costumes! Fundraising! 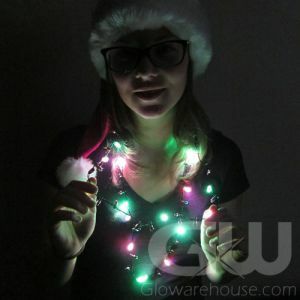 Become the Party with Battery Operated LED Necklaces! 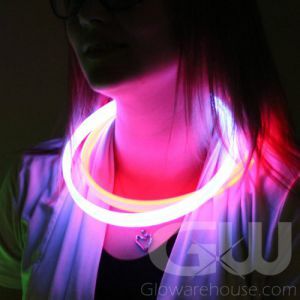 The Color Chasing Light Up LED Necklace is a fun and colorful glow necklace great for concerts, glow parties and special events. 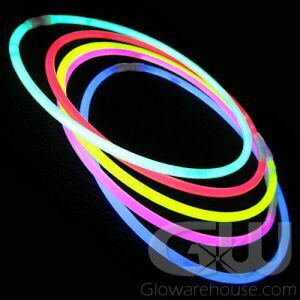 6 separate colored LED lights flash in a circular ring around the LED necklace. 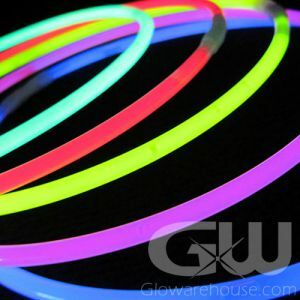 The colors of the LED lights are Blue, Green, Orange, Pink, Red and Aqua. 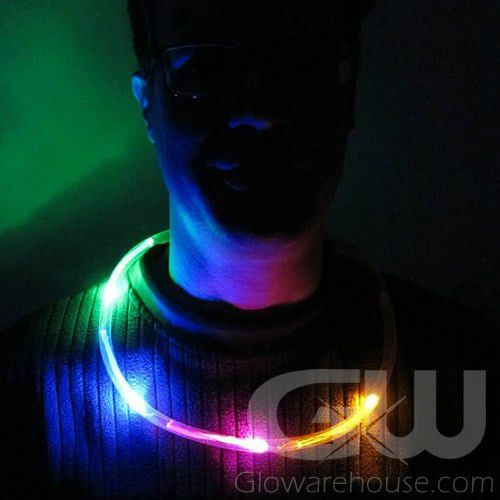 This LED Glow Necklace has 4 fun settings: 'All in One Mode' (Circulates through the other three settings on its own)'Circular Color Chase (Lights chase each other in a circular motion around the necklace) 'Flashing' (Lights flash on and off) and 'Back and Forth Color Chase' (Lights chase each other one direction and then back in the other direction) Brighter and flashier than traditional glow stick necklaces, battery operated LED necklaces come with replaceable AG13 batteries so you can use them time and time again!